For Dana Paul, it boils down to a building methodology and a meticulous nature that are both readily apparent at the house under construction at 1427 Scenic Street in Lakewood. 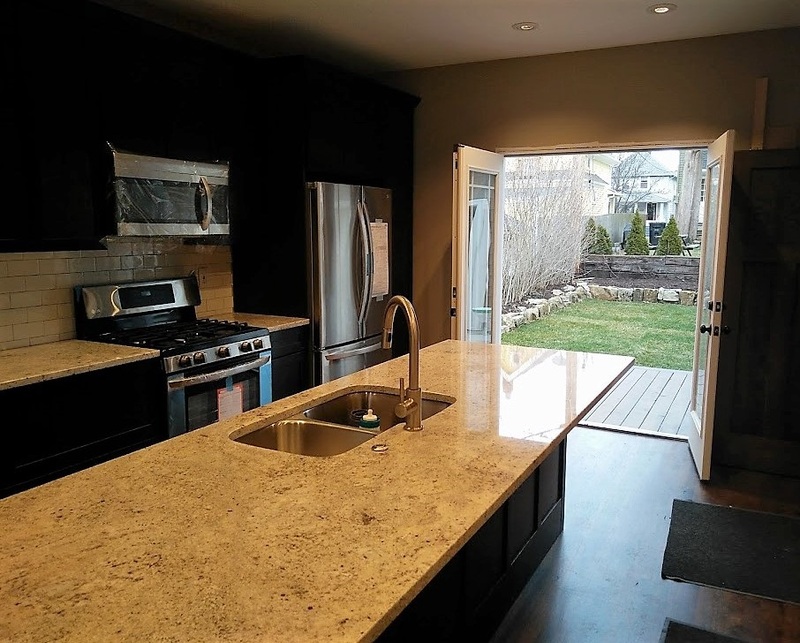 The spacious kitchen features French doors opening to the backyard. The owner of Prairie Stone Group – the company overseeing the project – has adopted a craftsman style for building this single-family home, focusing on a single construction project at one time rather than striving for high volume. Paul has embraced handcrafted quality, natural materials and a keen attention to detail. 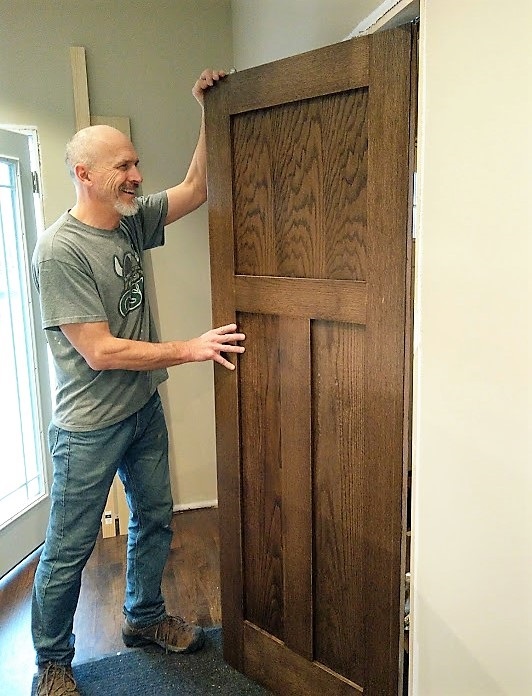 The results of Paul’s handiwork speak volumes to anyone who enters the 1,425 square foot home. As a first impression, the front walkway leading to the home features new handrails with natural woodwork atop stone steps. “I wanted to capture a Metroparks-type of look,” said Paul of this latest touch. Inside Paul recently incorporated an LG suite of stainless steel kitchen appliances, as well as a split sink built into granite countertops covering the kitchen’s nine-foot island. Near the kitchen interior oak doors have been stained and installed, and French doors leading to the backyard allow for ample fresh air throughout the downstairs level. 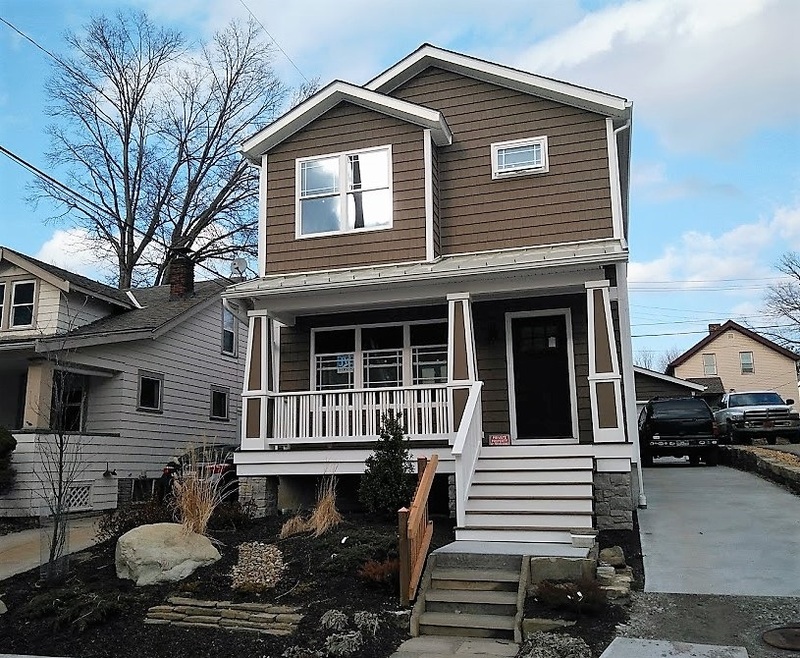 Another benefit of Paul’s craftsman-style approach has been with energy efficiency. The score on a recent blower door test revealed an air-tight house that should prove extremely economical for heating and cooling. 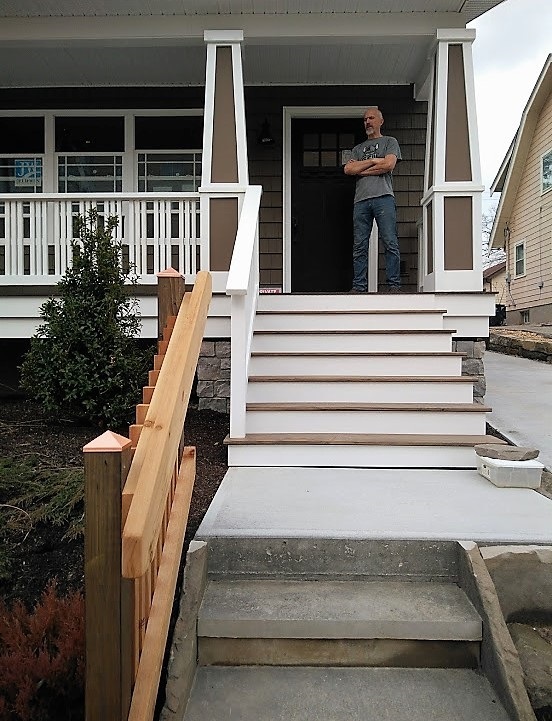 Dana Paul shows off the new handrails with natural woodwork atop stone steps. This meticulous approach will continue during the weeks ahead. Trim packages will be delivered next week, and Paul will start running casing around windows and doors. “Once the trim goes in, the entire project starts to take on a more finished look,” said Paul. The Scenic Park House Project remains on track to be completed in the coming months. Check back frequently for continued updates.